Jane Cavanagh left her job as a Business Development Manager at British Telecom in the mid-1980s after travelling to Japan and witnessing the enormous potential of the burgeoning computer game market. Within the space of a few months the company she founded - SCi Entertainment - had grown into a large team of graphic designers and programmers. Over the next 20 years, SCi developed and published around 500 games titles for various consoles and platforms, distributing them in 50 countries around the world. Some of those games became household names, including the famous 'Tomb Raider' series which spawned two successful Hollywood movies starring Angelina Jolie as the intrepid heroine Lara Croft. At its peak in 2007, the company was listed on the FTSE 250, with a market valuation of £600 million and some 1,300 staff working in 12 development studios and publishing offices around the world. Jane left the company in 2008 and has since been focused on developing her own business interests and on advising start-ups, mostly in the technology sector. LSBU runs courses at the cutting edge of the computer game industry, including the BA Game Cultures which was one of the first undergraduate courses in the country to offer creative and critical skills in video game design, development and analysis rooted in a cultural and media studies perspective. 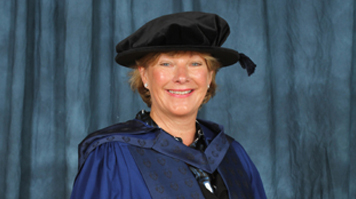 On receiving the award, Jane said: "I am delighted to receive this Honorary Doctorate of Letters from London South Bank University, a higher education institution which places such value on encouraging and inspiring the spirit of enterprise in its students to grow their entrepreneurial skills." LSBU Vice Chancellor David Phoenix commented: "Jane Cavanagh is a visionary entrepreneur who saw the potential of an emerging industry and developed an idea into a globally recognised giant in the gaming sector. That spirit of enterprise is a cornerstone of the ethos of London South Bank University, and we are delighted to recognise Jane's achievements by awarding her the title of Honorary Doctor of Letters."